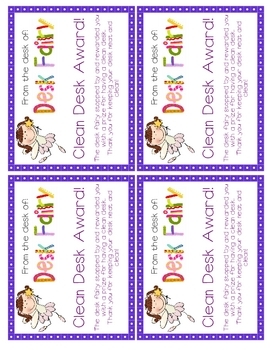 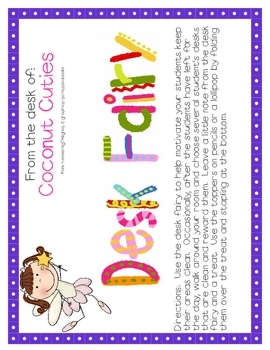 Use the desk fairy to help motivate your students keep their areas clean. 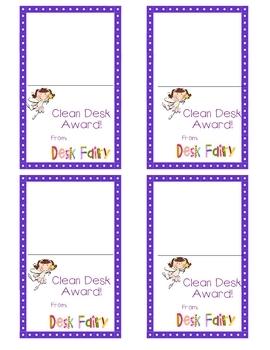 This is a great tool in the classroom to get your students to make their area is clean before leaving for the day. 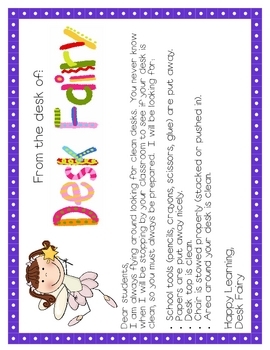 Included are little notes to your students, a direction page, and a treat topper.